LG will guarantee an update to the next full version of Android on all of its 2012 handsets, as long as the phone can support it. 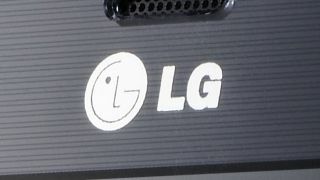 LG's UK Product Manager Shaun Musgrave confirmed this upgrade guarantee which forms part of LG's commitment to "offering the best smartphone experience". It's expected that the update will be to version 5.0 of Google's operating system which has been nicknamed Android Jelly Bean. This is great news for consumers who have been stung in the past by manufacturers not offering software updates to handsets which were less than a year old. This means you can happily go forth and purchase an Ice Cream Sandwich toting Optimus 4X HD, Optimus 3D Max or Optimus L7 safe in the knowledge that LG has you covered for the next Android operating system. We already know that the Optimus L3 will not be covered in this promise, as the budget handset doesn't even get an ICS update – it's stuck with Gingerbread for eternity. We're unsure if the Optimus L5 will see Android Jelly Bean, as its does have Ice Cream Sandwich, but its average 800MHz processor may not cope the version 5.0. We shall have to wait and see.